-In a small bowl, add the chicken breasts and the remainder of the ingredients; rub the seasonings into the chicken breasts and marinate for about 20 minutes. -Once marinated, grill the chicken breasts for about 4 minutes per side, or until cooked through and golden on outside. -Once cooked, set aside to cool and then slice the chicken breasts into strips. -Cook whole wheat pasta according to directions on package, then drain and rinse under cold water; hold until ready to dress. -In the bowl of a food process, add the basil through the ¼ cup Parmesan cheese, and pulse a few times to process; with the processor running, add in the olive oil until well blended. -In a large bowl, add the pasta and pour the lemon-basil pesto over; toss to thoroughly coat and check/adjust the salt/pepper, if necessary. -Plate the pasta salad equally on plates, add equal amounts of grilled garlic chicken strips to the salad, and garnish with about a ½ tablespoon of the pine nuts and Parmesan cheese, and a lemon wedge. 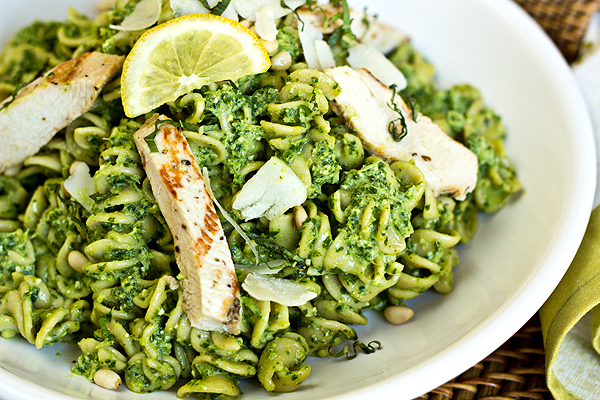 That lemon basil pesto looks gorgeous! 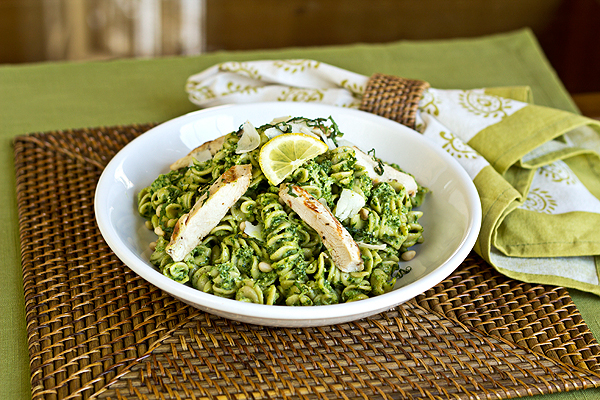 This looks very flavourful tossed with basil pesto! 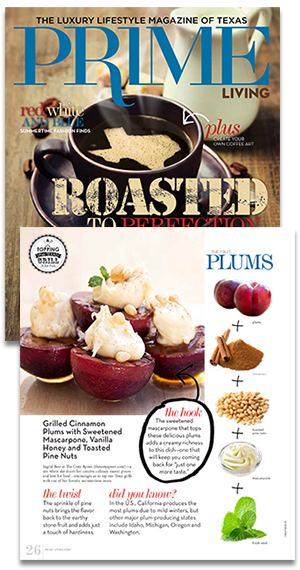 This recipe looks so fresh — so delicious! I’ve always wanted to make my own blend of pesto sauce and this may just give me the inspiration I need!